This story is from eNature’s Blog. 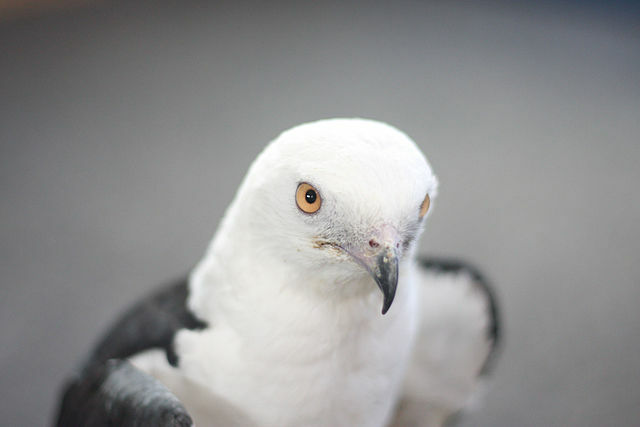 Many of us worry about the birds and how they make it through Hurricanes like Matthew. This information is well worth repeating. What Happens To Birds Caught In Hurricanes Like Matthew? Hurricane Matthew is making its way towards the US East coast after hitting Haiti and Cuba with some of the highest sustained winds and rainfall totals in recent memory. While Matthew’s wind, rain and storm surge will certainly affect many people, some folks are also wondering about the effects the hurricane may have on birds. Numbers are hard to come by, but it’s clear that many birds are killed outright by hurricanes. This is especially true of seabirds, which have nowhere in which to seek shelter from these storms. Beaches may be littered with seabird carcasses following major storm events. Most Atlantic hurricanes occur in late summer and early fall—and fall storms coincide with bird migration and may disrupt migration patterns severely. 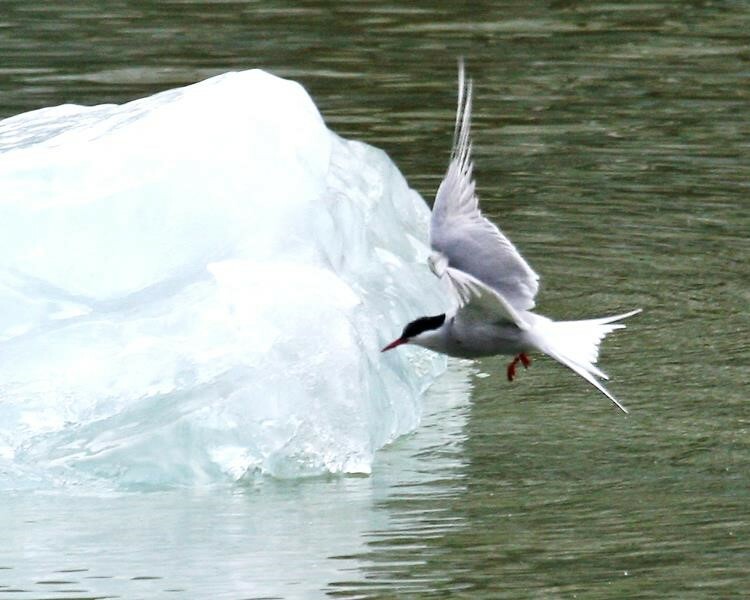 Many birds get caught up in storm systems and are blown far off course, often landing in inhospitable places or simply arriving too battered and weakened to survive. 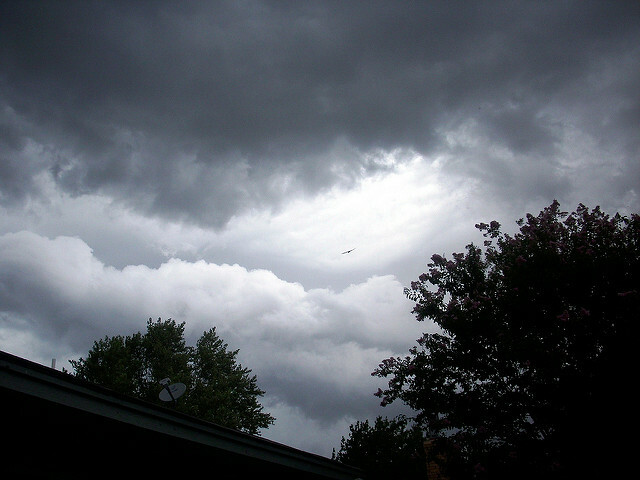 Others, while not killed or displaced by storms, may starve to death because they are unable to forage while the weather is poor. The number of birds that die as a result of a major hurricanes may run into the hundreds of thousands…. Read on for the whole story…. 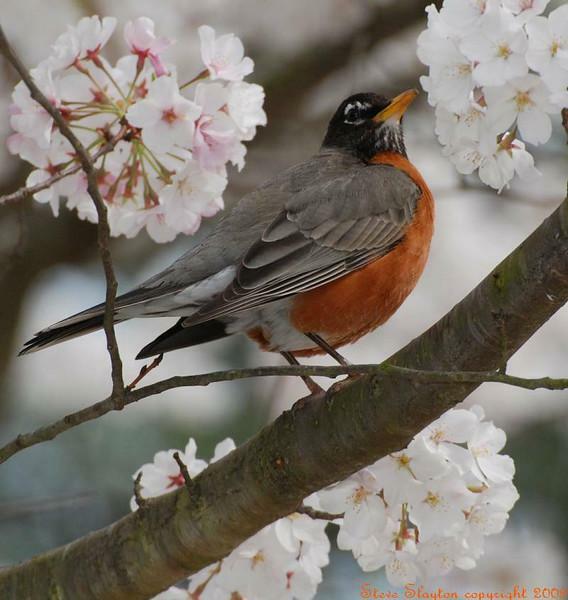 Creation Moment’s – Do Birds Take A Sabbath Rest? 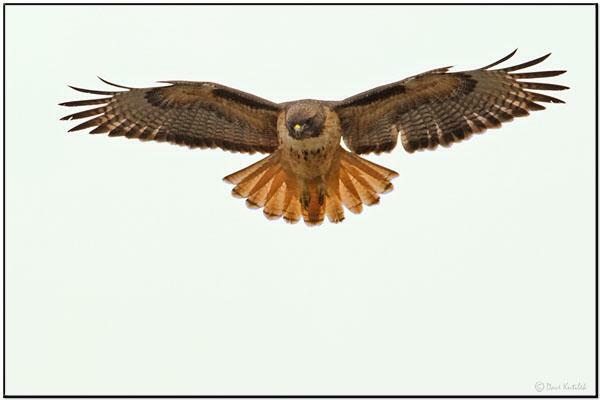 Myles Willard is an avid bird watcher, award-winning nature photographer and long-time friend of Creation Moments. Myles has given us hundreds of breathtaking nature photos, one of which accompanies the printed transcript of today’s program at the Creation Moments website. The reason I’m telling you about him today is because of an unexpected discovery he made while looking out the window of his home in Michigan. Each fall he meticulously tracks and logs the number of migrating warblers that stop by for a rest in the big cedar tree in his yard. 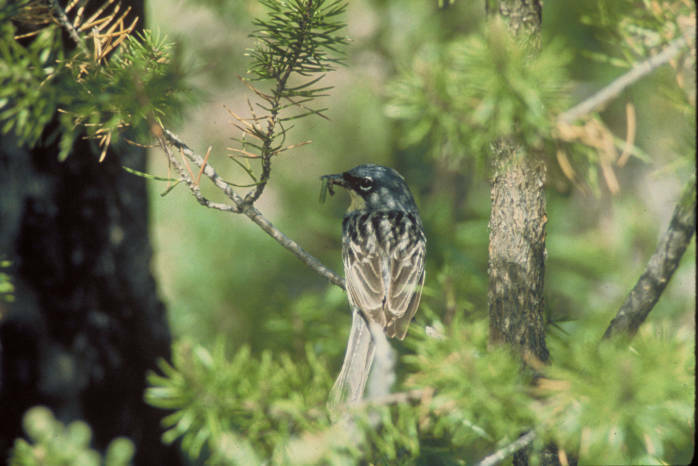 After tracking the activity of over 1,500 warblers for 18 years, he was surprised to see a statistically significant dip in the number of birds stopping by that occurred on every seventh day! 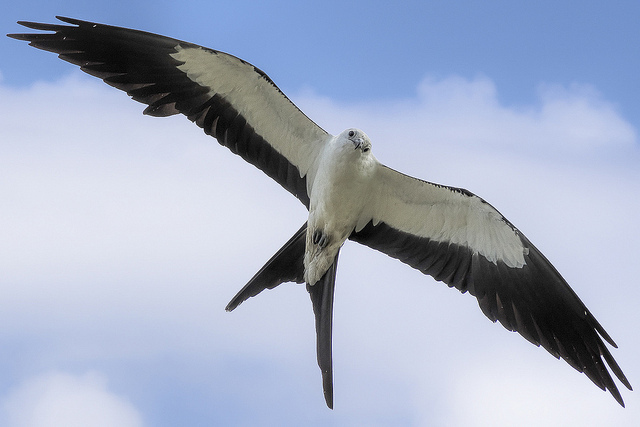 Did these migrating birds have a built-in instinct that somehow made them follow the biblical principle of a Sabbath rest? We are not saying, of course, that the warblers were knowingly obeying God’s fourth commandment. However, if God worked for six days and then rested on the seventh, why would it be hard to believe that God gave these birds a cycle of six days of work followed by a seventh day of rest? Oh Lord, thank You for doing all the work necessary for our salvation so we can rest securely in the knowledge that – by grace through faith – we can have eternal life! Amen. Myles Willard, The Rest Is History, monograph, 2008. Cited in Inspired Evidence: Only One Reality by Julie Von Vett and Bruce Malone, April 29 (Search for the Truth Publications, 2012). Photo: One of Myles Willard’s superb photos. Used with permission. Huh? 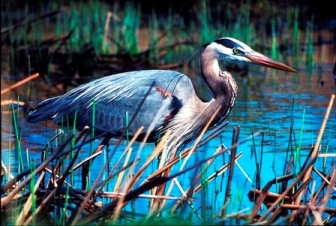 Maybe this Great Blue Heron was off on his schedule. It was not taken on a Sunday, as we don’t go birdwatching on Sundays. We rest on Sunday and attend church, so, why wouldn’t the birds rest also? This article is very interesting. I am sure “evolutionists” would discount it, but those records that Myles kept, are worth considering, and I doubt he just made these statistics up. If you have ever traveled to a distant city on vacation, you know how much planning you have to do before you leave. And, of course, you need to know where you are going and the route you must follow to get there. But the creatures we’ll be talking about today know exactly how to get where they are going. In fact, they were born with an internal GPS system to show them the way. In his book, Billions of Missing Links, Dr. Geoffrey Simmons devotes an entire chapter to the topic of migration. He begins by telling how baby loggerhead turtles migrate 8,000 miles across the Atlantic Ocean. 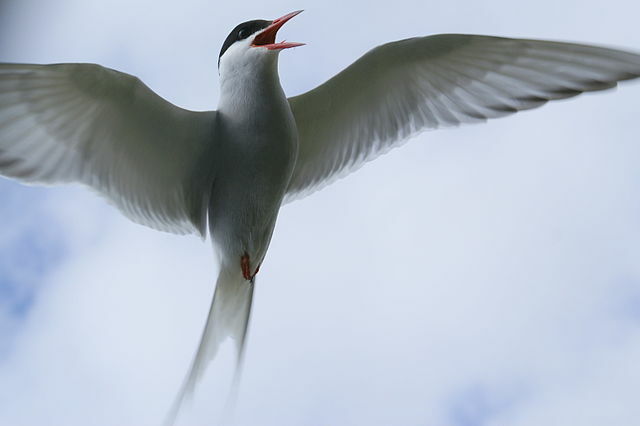 But that’s a short trip compared to the staggering 25,000 miles that arctic terns fly each year. That’s like flying completely around the Earth at the equator! How true! And even though Dr. Simmons is not a creationist, we have come to the exact same conclusion – namely, that animal migrations could not have come about slowly by trial and error, as Darwinian theory would have us believe. Oh Lord, though I may get lost while going on a long trip, Your creatures never seem to lose their way. You have boggled my mind once again! Amen. Geoffrey Simmons, M.D., Billions of Missing Links, pp. 165-169 (Harvest House Publishers, 2007). 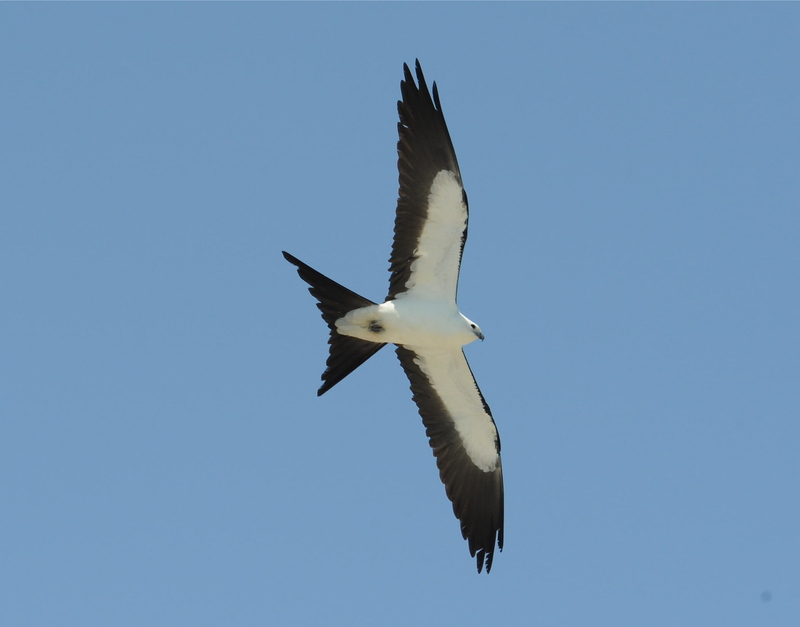 Our Swallow-tailed Kite has been written about several times, but they are just so pretty to watch. Again, today, we had one fly out over us and make a turn which showed the split in the tail. We have very few photos of them, because they are almost a “now you see them, now you don’t” kind of bird. They just come out of no where, there they are, and then they are gone. But, OH!, when they come out, they are so neat to behold. Just wanted to show them again so friends here in Florida and other southern states might keep their eyes to the sky. They are back, for a few months and then they will feel the call of South America and elsewhere south of here. The Lord put within the desire to migrate. So, enjoy them while you can. Those who widely travel usually have interesting experiences to talk about. That is no less true of animals that migrate. A commonly known example is the monarch butterfly. In the fall, monarchs from all over North America head south to the same small patch of jungle trees in Mexico. Even more astonishing is that each generation finds this exact traditional wintering spot but has never been there before. Scientists have recently discovered that another migrating creature has an even more interesting story to tell. Bar-tailed Godwits, shorebirds with a wingspan of about 12 to 16 inches, summer in Alaska. But they winter in New Zealand, over 7,000 miles away. As you mentally picture their route, you would be right to notice that there are very few places to stop and rest between Alaska and New Zealand. 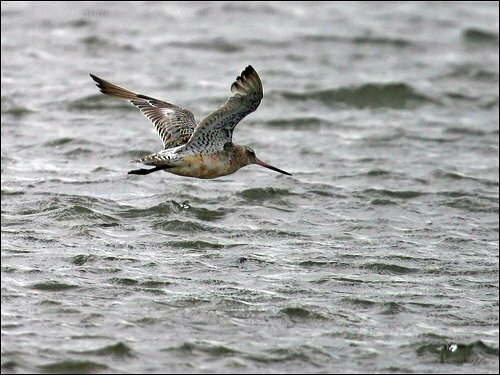 Researchers outfitted seven female godwits with tracking devices to learn more about their migration. 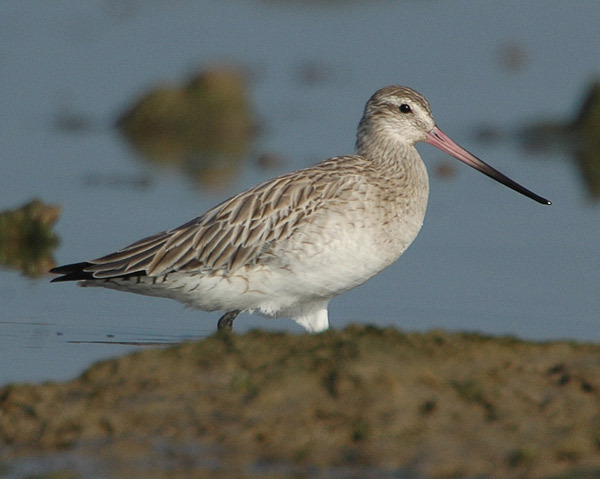 They found that the godwits traveled the distance nonstop, without rest or even food or water. That’s the equivalent of a nonstop flight from London to Los Angeles, plus 1,000 miles more! Godwits glorify God as Creator with their amazing migratory paths. As the first Christians scattered across the Roman Empire in fear of persecution and martyrdom, they spread the wonder of God’s love for us in the Gospel of salvation. Father, I thank You for the glory of Your creation, but I rejoice in the wonder of Your love and salvation. Amen. What an amazing Creator that gives these Godwits the ability to make that 7,000 mile journey NON STOP! Wow! 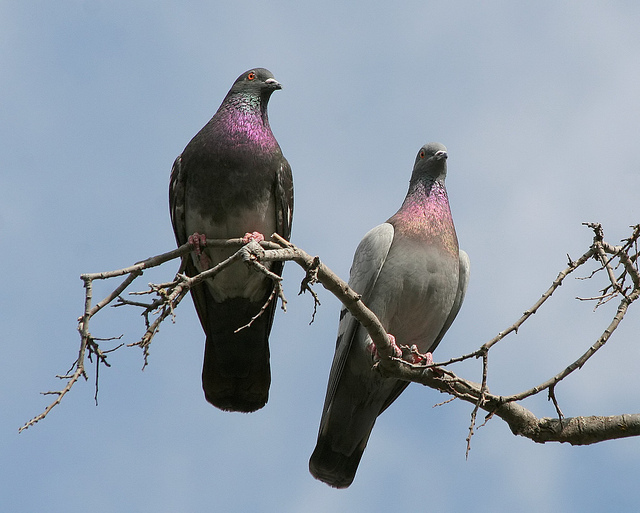 Once there were two birds who lived in Portland, Oregon. Their names were Belinda and Steven and they were pigeons (a.k.a. 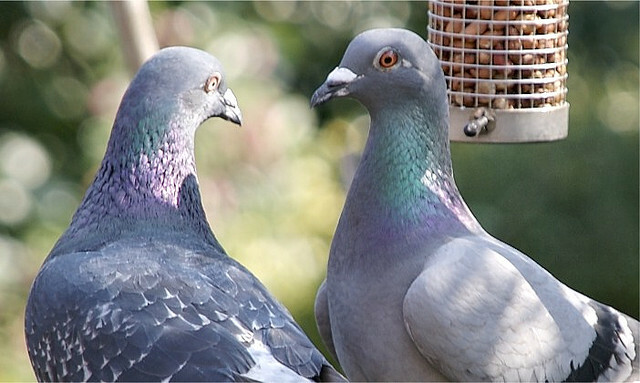 Rock Doves). 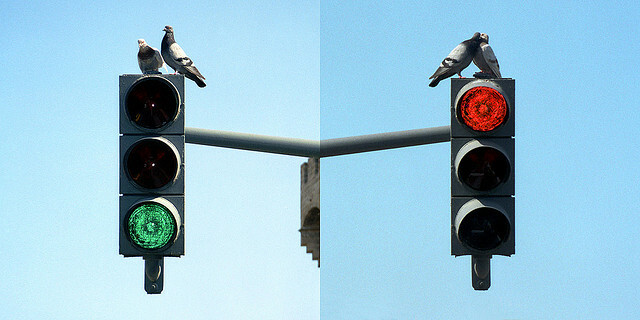 Belinda and Steven lived on top of a stop-and-go light in the middle of a busy street where they had built their nest. They loved the city life so they didn’t mind all of the cars driving by, especially when they honked. They also didn’t mind all of the headlights that lit up the streets at night. Every day, Steven would fly through the city to search for food. And every day lots of cars would drive by. As December drew near, it started to get colder. Eventually, snow started to fall. The more snow fell, the colder it became. 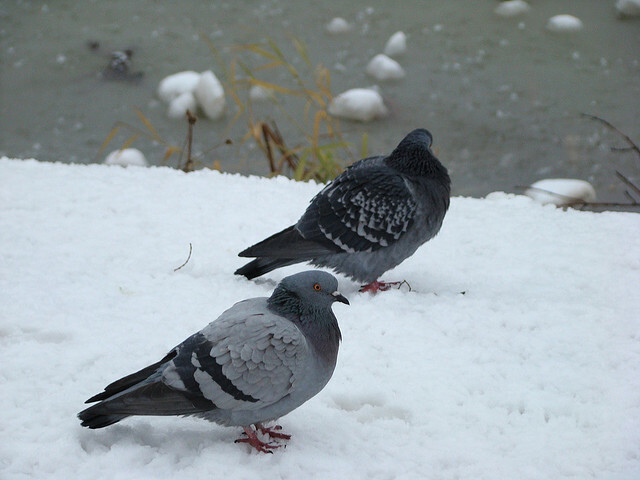 Belinda and Steven decided it was time for them to fly down south for the winter. They would spend Christmas down there just as they did every year. They both liked spending Christmas down where it was warm. They started flying early the next morning because it was going to be a long journey to fly down south. As Belinda and Steven travelled, they were careful to not fly too high when they flew through the mountains because the tops of the mountains were cold and snowy. They flew past many mountains because Belinda and Steven were flying through the Rocky Mountains. Eventually, after several hours, Belinda and Steven reached Death Valley. It was nice and warm there. But Death Valley was a little too warm for them. Fortunately there was a group of road runners that gave them directions to Arizona. Belinda and Steven were already in eastern California so it wasn’t that long of a flight to get there. Belinda and Steven were able to fly to Arizona and made it there by Christmas Eve. It was nice and warm and the desert was filled with cactuses. Belinda and Steven decorated a cactus with some Christmas decorations they had brought with them so the cactus looked festive. Together, Belinda and Steven had a wonderful Christmas, and they didn’t even mind that it would still be a long trip back to Oregon. They would have to come back to Arizona next year. Thanks, Emma, for telling us about your migrating Pigeon friends, Belinda and Steven. 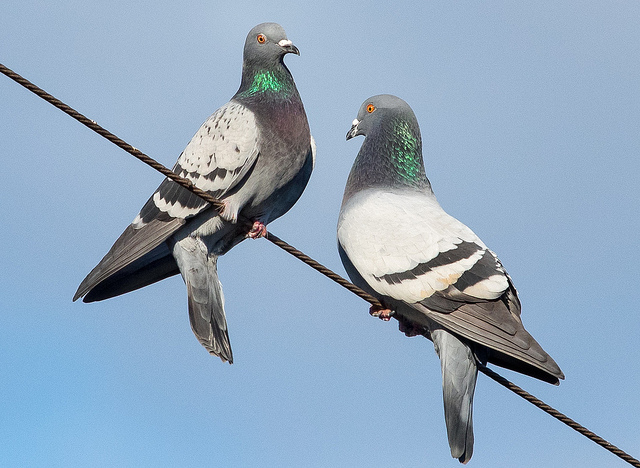 Smart birds for escaping the winter cold up there in the Northwest. Keep up the great stories. We are all enjoying them and you a gaining quite a fan club. We are looking forward to more stories through this New Year. Happy New Year. You may remember that we had Oriental Pratincole as bird of the week early last month as I couldn’t fulfil a request from a local birder for Oriental Plover. Since then, Rex Whitehead, a bird photographer in Mt Isa, 900km west of Townsville as sent me some lovely Oriental Plover photos that he took very recently on Lake Moondarra, a reservoir just outside Mt Isa. 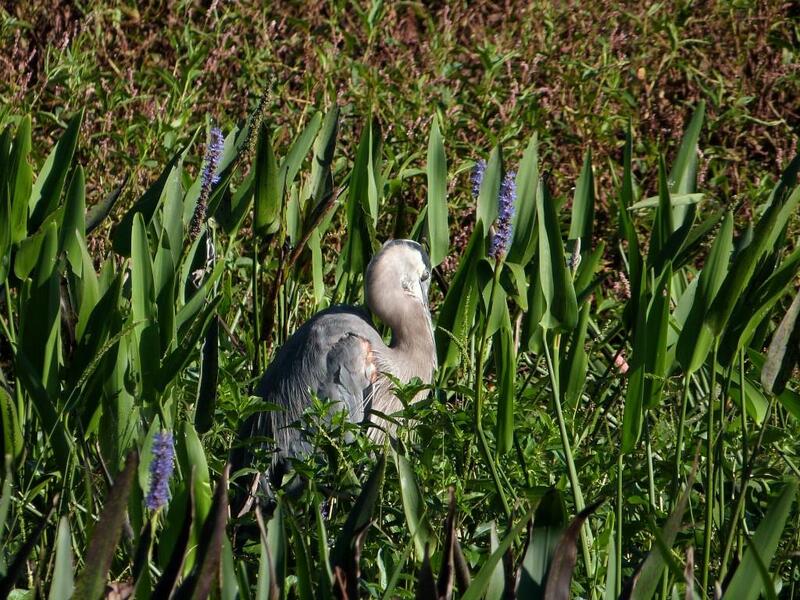 The first two photos are of adult birds in non-breeding plumage. These are elegant mid-sized plovers slightly smaller than Golden Plovers with a length 22-25cm/8.5-10in. The second photo shows the slim profile well. The third photo is of a juvenile bird, and like many plover species it has buff fringes to the dorsal feathers. The entire population of about 70,000 birds breeds in Mongolia and adjacent areas of southern Siberia and northwestern China and migrates to northern Australia for the northern winter. In both regions it is a bird of dry arid areas and in Australia it visits the coast less frequently and in response to severe drought inland. Some birds reach the southern states, but it’s main range is north of the Tropic of Capricorn. On migration in both directions it appears in large numbers in the Yangtze Valley but records are rare both in more northerly parts of China and in Indonesia. So it is assumed that it is a long distant migrant and does the entire journey in two hops. In breeding plumage it has a chestnut breast-band with a dark lower edge which forms a sharp border to the white breast. With some reluctance I’ve included a poor distant shot of mine taken at Norfolk Island airport in March 2012 to illustrate the breeding plumage and do a size comparison with the Pacific Golden Plover. if you look carefully you can see the chestnut breast-band on the Oriental Plover and the Pacific Golden Plover is also coming into breeding plumage. Oriental Plovers can run swiftly and the specific name veredus is the Latin for a swift horse. I’ve been busy working on the website to make it ‘mobile friendly’ so Christmas has approached stealthily and more-or-less unnoticed. I did see in my calendar program yesterday that there is a full moon on Christmas Day and the same program reminded me today that there is a New Moon tomorrow. That gave me a shock as it means Christmas only a couple of weeks away. So, don’t forget the gift giving facilities on the Apple Store and Kobo Books and the ebooks Where to Find Birds in Northern Queensland and Diary of a Bird Photographer! Use the Gifting Gifts section in the Publications Page for links and instructions. Both the thumbnails below are linked to their newly mobile friendly pages on the website. I released the new mobile friendly home page a few days ago. This involved breaking it up into smaller parts to make it more manageable – it had grown to become a monster over the years. The home page now has links to all its erstwhile components like thumbnails to bird families (‘Visual Links’ in the menus), the bird of the week index page, and recent additions. The alphabetic and taxonomic indices are collectively called Text Links, and like the Visual Links are all inter-connected. The move to a mobile world has provided an opportunity for a complete redesign to make the website more consistent and easier to use but, given its size, it will be many months before all the family and species pages get updated but I’ll keep you posted. Wow! If you looked at all the links Ian shared, he has really been busy updating his Birdway website. I’m impressed! The Oriental Plover is also very interesting. A week ago, we went to Lake Morton in Lakeland for half hour or so. Several of the Swans were sitting on nest and a Peking Duck or a White Mallard was working on her nest. She kept adding twigs and grass to the nest and then walked away. 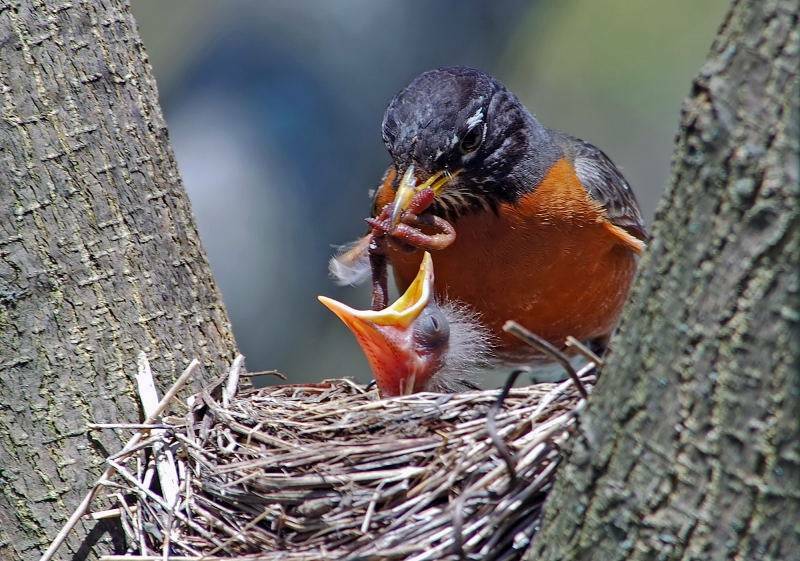 Have you ever watched a bird build or work on a nest? They add the “walls” and a “floor” and some birds like Weavers, make a “roof” over their nest. Another lesson we can learn from our birds. They do not load their nest with stuff. Some add colorful threads now and then, but there are no hat racks or closets with different feathers hanging. They do not have to decide what color feather they to wear today. No cooking utensils to worry about. No suitcase ready to pack when it become time to migrate. When it is time to go, they go. Must be a lesson there. I am a bit of a pack-rat and it has been interesting around here lately. Especially when all did not go as planned. A mix-up caused a delay, so the disarray has continued longer than expected. Now that the floor is finally completed, I am trying to de-clutter some as “things” are returned to the “spare” room. At least the computer is back up and running. Yeah! Yep! The birds have the right idea. Lord bless you all as you face your challenges. Maybe the birds will have a hint to help you also. This week we get to see the Lord’s creation in the Turdidae – Thrushes Family. The Muscicapidae Family also has the Palm & Rock Thrushes. It is easy to see the characteristic similarity of these birds, even though they have differences in color, even in their feet and beaks. 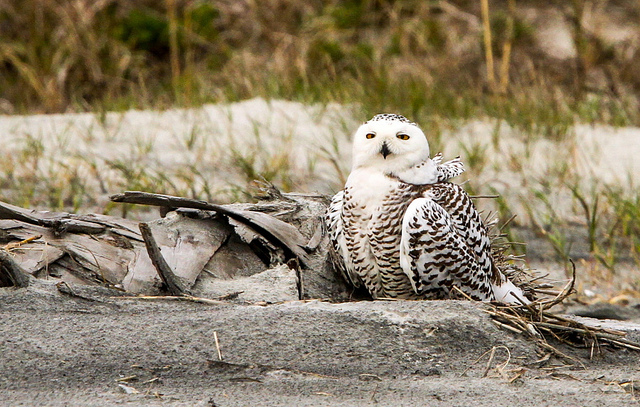 Here is a very interesting article about the Snowy Owls being spotted so much this winter. It is from the Focusing On Wildlife blog. For the lowly Arctic lemming, life is cruel. In a flash before death, often the last things a lemming sees are the deadly talons of a majestic snowy owl. A mass sacrifice of this rodent with stubby legs probably gave rise to what scientists are calling the largest snowy-owl irruption in at least half a century. The gleaming white birds poured out of Canada this winter to points throughout the eastern US, captivating birdwatchers, scientists and people who had never seen them up close.